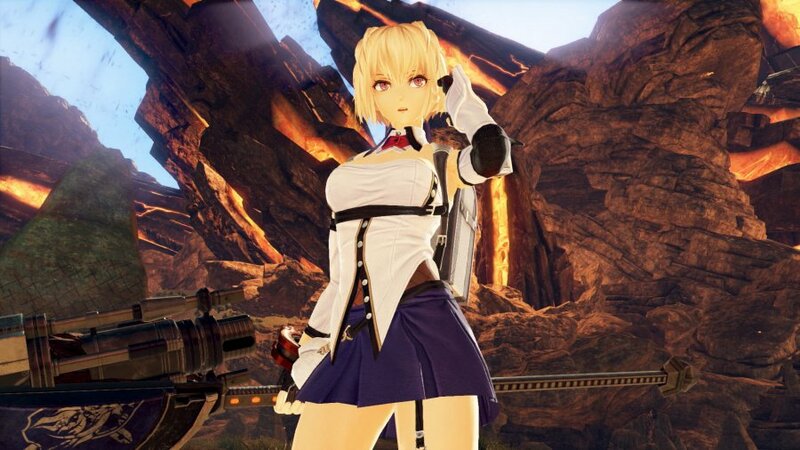 God Eater 3 presents a monster-slaying jaunt through a post-apocalyptic world absolutely stuffed with storytelling cliches and over-the-top combat. Between its predictable plot and horribly outdated visuals, it's easy to look at this latest instalment and chalk it up as just another throwaway action role-playing title for the anime crowd, but dig just a little deeper, and you'll find a fast, fluid, and most importantly, fun combat-centric hack and slasher. This time around, your custom character starts off as a slave of sorts. Paired with a God Arc at a young age -- a weapon capable of killing the demonic beasts that now roam the barren wilderness -- it's your sole purpose in life to hunt Aragami of all shapes and sizes. Civilisation is scattered, and humanity is forced to live in fear of the Aragami as well as devastating, unstoppable ash storms. It's quite a gritty setup, and when coupled with shady organisations and a cast of decent characters, it's enough to keep your attention throughout the game's 40 or so hour campaign. As hinted, though, this tale isn't going to win any awards for narrative excellence. The characters are its best asset -- particularly your teammates -- but even then, you'll find yourself questioning their judgement at various points in the plot. Personalities can seem a bit inconsistent, and some of the "twists" will have your eyes spinning like the reels of a slot machine, but again, it's kind-of-enjoyable anime schlock that's carried by an interesting setting. But with a release like God Eater, you're really staying for the gameplay. Not that much has changed from previous entries, but combat remains solid, and a handful of fresh options -- including two new weapon types -- pad things out nicely. 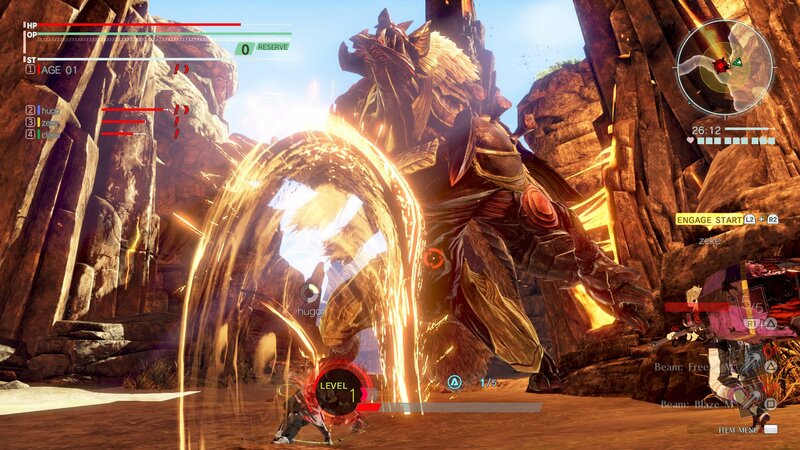 What's more, even deadlier Aragami, dubbed Ash Aragami, can provide a welcome challenge, even though their inclusion means that the campaign suffers a few noticeable difficulty spikes. 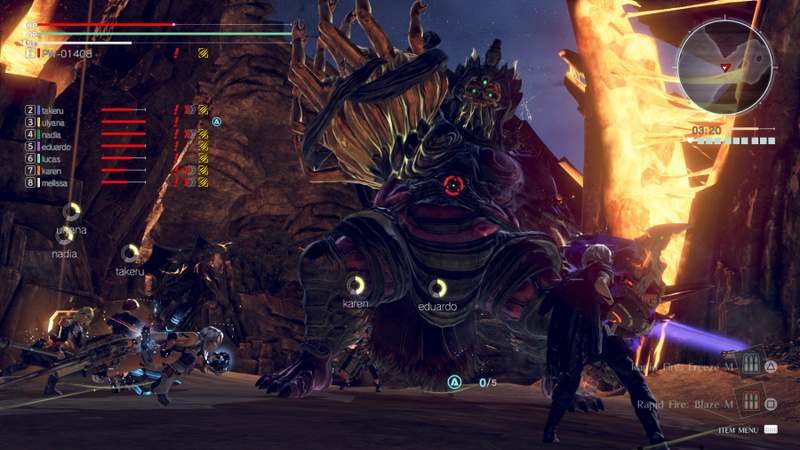 The battles between your team and the Aragami are usually a blast, but missions where you're killing groups of smaller foes rather than one or two big targets continue to be the most tedious part of God Eater. The combat system just doesn't have the nuance to accommodate a whole bunch of enemies, and these skirmishes can quickly become all too chaotic for their own good. 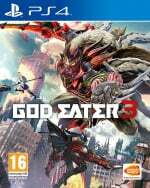 Grand clashes with hulking monsters is the way to go, then, and while God Eater 3 still lacks that little bit of impact and edge, the inherent rhythm of attacking, dodging, and entering burst mode is as satisfying as ever. Each weapon type has a couple of unique tricks or special attacks, and it doesn't take long to get used to the flow of different encounters. Some of the tougher opponents further into the campaign can initially come across as cheap in the way that their telling movements are much more subtle, but as with any action RPG of a similar structure, it's a case of being patient and learning as you fight. The difficulty definitely starts to ramp up later on, but generally speaking, your computer controlled allies are incredibly capable -- sometimes to the point where you feel like you could sit back and just let them handle it. Obviously it'd be even more of a pain if they were borderline useless, but it can feel like you're just along for the ride, despite being the supposed hero of the story. Again, we suppose it all comes together with practice. Of course, killing Aragami nets you materials, which can then be used to craft new weapons, or upgrade your existing arsenal. Slapping together a beastly new blade every now and then is a core part of the game, although navigating the awkward, layered crafting menus makes the process far more arduous than it needs to be. Indeed, when you return from a mission and you're looking to craft, re-equip, and organise your items, God Eater 3 really needs a better user interface. Each action is buried beneath different subcategories, and beyond that, weapons, equipment, and even special moves can be altered further with additional abilities and effects. Getting through all of it is nothing short of a chore. But at least this is evidence of the game's depth. There are numerous layers to customising your character's fighting style, right down to the details of ground, air, and sidestep attack properties. 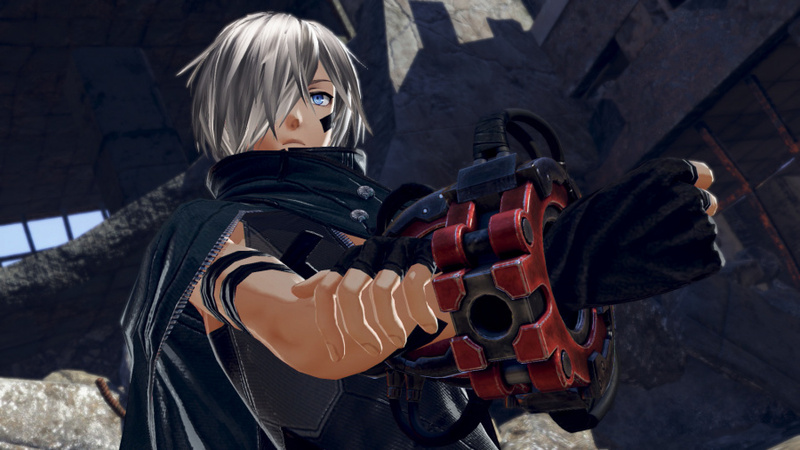 There's a lot of room for experimentation here, and that's really where God Eater 3 will get its hooks into more dedicated players. Speaking of which, you can always hop online with others if you're looking for something a bit different. We did experience a few connection errors when teamed up with strangers, but creating or finding a lobby is easy, bots are available for most missions, and as you'd expect, engaging colossal foes with an actual group of people ups the tension. That said, you might end up missing the efficiency of the artificial intelligence, especially when it comes to healing. @ShogunRok Its a pity the grade is only a 7. I guess it really needs some streamlined menus. Wow! Looks so much better than God Eater 2. @ShogunRok How do I make time stop so I can play all these games? Never played a God Eater game before. But I tried the GE3 demo for funsies. And I honestly really liked it. But I do have 2 big problems/questions. Could I play the full game comfortably with the AI? And do I have to do the online raid things? Cause oooh boy, the one in the demo was 100000% not for me. @Splat I wish I knew. @OrangeBagels Yep, you can get through the campaign easily enough with just the AI (you have to anyway, as going online doesn't count as progressing the story). As for the raid things, no, they're optional. But they do help you get the really rare stuff as far as I know. I definitely plan to pick this up. Sounds like a game I want to give a whirl sometime. Glad to hear it is not another 100 hour game. I think that I'd enjoy this, though this series doesn't appeal to me as much as Monster Hunter. If the demo is still available then I'll give it a try at some point. Edit: Sigh, the Western demo was only for a limited time. That's annoying, so I'll just skip this game. I'll still eventually get this one. But too bad they are still opting for clunky menus and PSP based controls. @Broosh Holding L1 to aim is crazy, no option to change it either. @RoyalGuard Nah, it's not an online-only game. You only need an online connection to play multiplayer missions — the rest is single player.